If you’re trying to buy the American dream, chances are you’re probably paying for it with credit. The average American household debt has increased by over 10% in the past decade, and with medical and housing costs increasing at an alarming rate and income growth stagnant, it’s no surprise that people find themselves relying more and more on credit cards to fund their lifestyle. Do you find yourself reaching your stress limit when your credit cards start to reach theirs? Does life seem to come to a screeching halt when you don’t have that magical piece of plastic to get you through to your next paycheck? Here are a few signs you might be developing a credit card dependency. When you are reliant on credit to make even the most basic of day to day purchases, you may have a problem. While a debit car is linked directly to your checking account, a credit card allows you to spend beyond your means. If your financial state has made you reliant on credit to simply get by, there is most likely a problem. Whenever those charges start creeping up on you, do you start searching for new credit card offers? When you come across an offer of credit, do you look before you leap? If your spending is catching up with you and you are still applying for new credit cards, there is most likely an issue. No matter what the ultimate cost is at the end of the day, you’ve just got to have that new card. If you’re more concerned about getting points or miles than what its really costing you at the end of the day, your irresponsible spending and disregard of financial realities will be more difficult to rein in the longer you allow this behavior to continue. You can’t resist a good deal, even if you can’t afford it without using a credit card. What’s worse, your Homegoods and Amazon purchases are strewn about the house collecting dust like meaningless trophies from your impulsive bargain hunts. You may think you’re taking advantage of a good deal, but maybe that good deal is taking advantage of you. Do you find yourself taking out cash advances on your credit card or title loans to simply cover your monthly expenses? 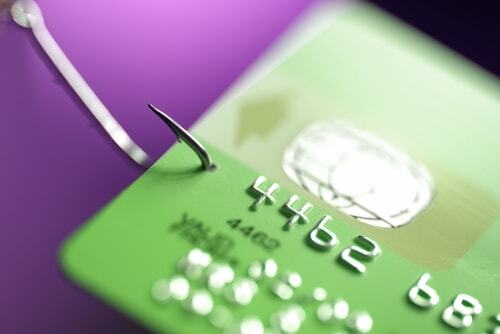 Robbing Peter to pay Paul isn’t the answer, and if you’re borrowing money you have no way of repaying to pay your credit card minimums or other bills, it may be time to get your spending in check. If you are remitting minimum payments each month without knowing what your outstanding credit card balances actually are, you may have a credit card problem. This is probably the biggest indicator that you’re dependent on the immediate gratification and delayed consequence credit cards offer. The problem is that you are simply pushing your financial predicament to sometime in the future. When the topic of credit card debt comes up, are you quick to redirect the conversation? Do you hide your last T.J. Maxx purchase under your mattress or throw it directly into the trash so no one asks any questions? Maybe your partner is in the dark your rising balances because you keep your credit card bills out of sight. What they don’t know can definitely hurt them, especially when your finances are shared. Has swiping a credit card for everyday purchases become second nature, and your Macy’s card literally has the magnetic strip worn off of it? You may already be caught in the minimum payment cycle an accruing interest at astronomical rates. When your cards are all reaching their limits, it may be time to admit you have a problem. Who needs savings anyway? As long as you have a wallet full of credit cards to tide you over, you’re good to go, right? If that’s your line of thought, you may want to reconsider the way you view and use credit cards. If an emergency comes up, are you prepared to handle it financially? A sure sign of a credit card addiction is a zero balance in your bank accounts, especially savings. Unexpected expenses arise, and emergencies happen. 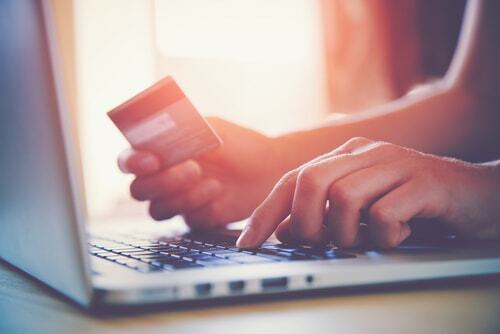 But if you have maxed out all of your credit cards, it means your everyday spending is exceeding your income, and that means it’s definitely time to examine your spending habits, identify problem areas, and make changes serious accordingly. 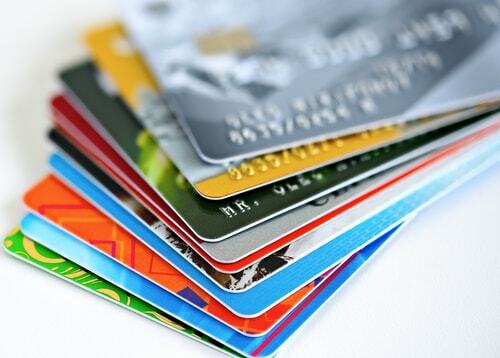 Do you think you may have a credit card addiction? If the scenarios listed above sound all too familiar, the answer may be yes. The first step is to honestly assess your situation, explore options for consolidating your debt, and resist the urge to simply close all your cards, as this could result in a serious hit to your credit score. Instead, create a budget that reconciles your spending and your income and stick to it. Most importantly, stop spending money you don’t have. Cut those credit cards in two and stop applying for new lines of credit. Next, start saving and seek professional counseling if you are unable to control your spending impulses. There is no shame in asking for help, especially with a problem that has such lasting and profound effects on your life and personal relationships. Be patient, and if your plan doesn’t work at first make the necessary adjustments without losing sight of your goal – freedom from credit card dependency.